Severe weather is likely across parts of the South and Southeast this weekend. 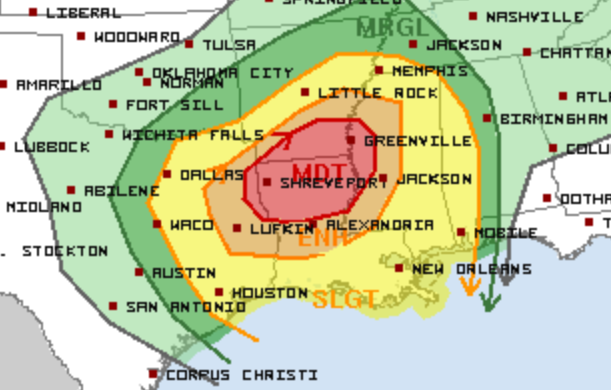 The SPC has already issued a Moderate Risk on Saturday. The Moderate Risk extends across southern Arkansas and northern Louisiana. This includes Shreveport and Monroe, LA and Greenville and Vicksburg, MS. Numerous thunderstorms are expected across the Lower Mississippi River Valley. 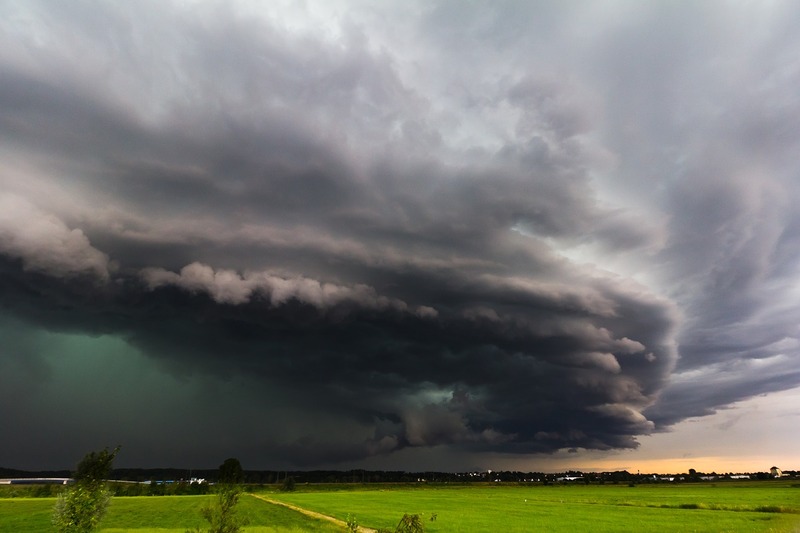 The SPC warns of the “potential for a substantial severe weather event”. This includes tornadoes, some strong. The threat for severe weather shifts eastward on Palm Sunday, encompassing much of the eastern part of the country. 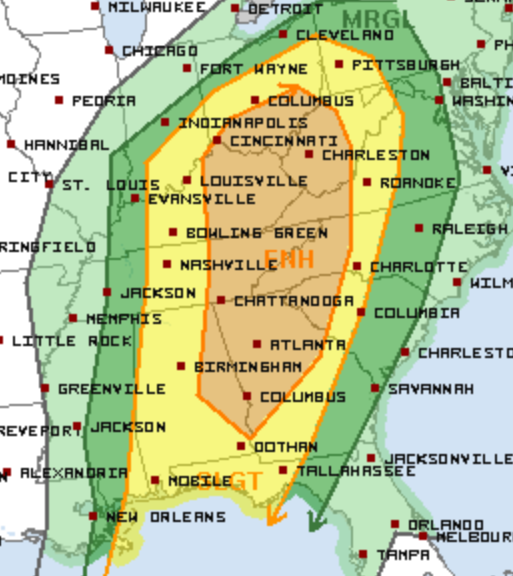 An Enhanced Risk includes Cincinnati, OH, Charleston, WV, Lexington, KY, Chattanooga, TN, and Atlanta, GA.
Again, widespread thunderstorm activity is expected with all modes of severe weather possible. This weekend has the potential to bring a widespread, multi-state severe weather outbreak. Unfortunately, Palm Sunday weekend has a track record of deadly severe weather, especially for the Southeast. The 1920 Palm Sunday Tornado Outbreak across the Midwest and Deep South left over 380 people dead and 1,215 injured. Georgia suffered the most fatalities at 201. There were at least 37 tornadoes, 31 of which were significant. The 1936 Palm Sunday Tornado Outbreak hit the Midwest with 47 tornadoes. 271 people were killed and 1,500 injured. Indiana suffered the most fatalities (137) and injuries (1,200). The most recent Palm Sunday Tornado Outbreak was in 1994 and it hit the Southeastern U.S. 29 tornadoes touched down causing $140 million in damage. 40 people were killed and 491 injured. 20 people were killed during a Palm Sunday service near Piedmont, AL when the church they were in collapsed. As we head into this weekend, it is very important that you have multiple ways to receive severe weather alerts even at night. If you live in or near one of these risk areas, please also have a way to get severe weather information while in church services.